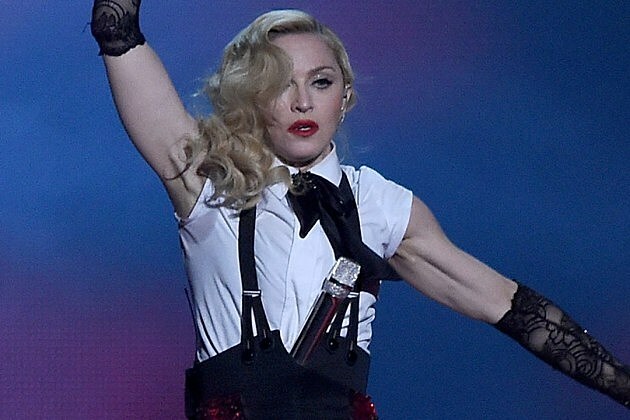 Madonna’s fall was basically caused by the mother of all wardrobe malfunctions, she revealed. When her flowing Armani cape wouldn’t come undone — like it was supposed to — “my two lovely Japanese dancers basically strangled me off the stage,” she joked. Only Madonna can fall like a boss, sustain injuries and still get right back up and nail the performance. And in all seriousness, we hope she’s feeling better! That tumble had to have hurt. See Madonna’s fall in the Vine below.